OliverH wrote: Yes, you can join the Society now for £2 a month and be able to vote. Really? Sounds a bit like all the moneygrabbers who bought shares in GKN so as to make a quick buck from the Melrose takeover. So £2 a month......vote......then stop paying? Makes those you paid £250, £500, £1000, look a bit silly does it not? 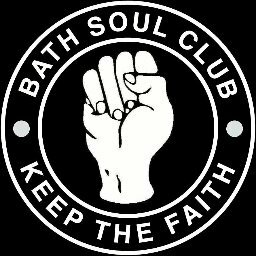 First, the Society has an "asset lock" which means that individual members can't profit from any future sale of its assets (in this case, its 55% stake in Bath City FC Ltd), so the GKN comparison doesn't really work. Second, it was made clear in the prospectus and bid campaign that the Society was raising money (which it plans to repay) to refinance the club and ultimately change its governance structure to a "one member, one vote" democratic members model. You weren't being asked to invest in order to secure your own personal say, you were being asked to invest to make sure that all supporters who care about the club can have a say in its future (i.e. by joining the Society). Investors have been given exactly what they were promised. After all, it wouldn't be in the long-term interests of a healthy, democratic, well-run club if the 573 people who had the opportunity and wherewithal to buy community shares in 2016 became the only people who could vote on Society matters for the next fifty years. It would be pretty bizarre if the Society had to effectively close its doors to new members because it was successful with the bid. Does a 3G pitch mean that clubs/players/supporters get less postponements and disruption to the season? In general, yes, but I don't think that this is really an issue with Twerton Park in particular - very few postponements in recent years as I recall. I don't know how much rain Bath saw overnight and this morning, but if it was similar to what hit the London area I very much doubt if they would have played at TP today. It's true that we've seen very few postponements in recent years but I think that has been partly down to luck with the weather. While the pitch drains well it is always vulnerable to heavy frosts because of the Pop Side roof blocking out the low sun at the turn of the year. We have been fortunate to not have many matches scheduled when the temperature has dropped below zero and of course the preventative measures taken by the groundstaff. I think it’s fair to say that weather and postponements aren’t our primary reason for looking into 3G? For those posting on social media about there’d be nothing worse than us having an artificial pitch - presumably that’s also including the club folding as not being worse? I’m certainly not a campaigner for a change to the pitch and like many others if it came to a pure football decision would probably vote to stick to grass (although having watched City on almost every match played on a 3G I don’t think there’s any difference once the game starts). But if changing the surface can safeguard the club’s future then it seems we need to do it as it’s clear we can’t go on like we are. I don't know how much rain Bath saw overnight and this morning, but if it was similar to what hit the London area I very much doubt if they would have played at TP today. It's true that we've seen very few postponements in recent years but I think that has been down to luck. While the pitch drains well it is always vulnerable to heavy frosts because of the Pop Side roof blocking out the low sun at the turn of the year. We have been fortunate to not have many matches scheduled when the temperature has dropped below zero. We spend more than most on our pitch in the close season. This fact must to be remembered in the 3G debate. I am certain there have been teams with 3G pitches that have had games called off this season for both waterlogging and frozen surface reasons. However these could have been due to very extreme conditions and it is probably fair to accept that the chance of postponements are much less likely with a 3G pitch. I wonder if levelling the pitch will have an impact for us, irrespective of the eventual surface. We always used to have problems in the SW area of the ground that seemed to attract water but that situation now appears to be cured. Would lowering the playing surface by 3-5 ft in that corner bring the problem back? I think having some degree of incline can assist in run-off of water. Ashley wrote: I think it’s fair to say that weather and postponements aren’t our primary reason for looking into 3G? For those posting on social media about there’d be nothing worse than us having an artificial pitch - presumably that’s also including the club folding as not being worse? Beau Nash wrote: Is this the feasibility study - https://gallery.mailchimp.com/993f108eef922cc38fb7c961a/files/40f26e23-ef87-40c7-996c-73b320a2b2e4/3G_Pitch_Feasibility_Study_Exec_Summary.pdf - if so it raises more questions than it answers, as outlined on the final page "Attachments/References", where assumptions need quantifying. This is - https://www.bathcitysociety.org/uploads/4/4/2/1/44212161/3g_pitch_feasability_study.pdf - ty comrade. A lot to read and analyse. Beau Nash wrote: I was told that Odd Down costs £120 per hour. Definitely didn't when we asked just under a year ago. I think it was just over £100 for two hours, and that included a changing room. I have no idea the cost if you book, say, a third of it for an hour. They might have some sort of discount scheme. I’ve had a couple of matches up there with colleagues recently and we’ve been charged £30 for an hour. Not sure if that’s for a third or a quarter but I think it’s 1/3. Well, steady on - it's not down to the pro-grass lobby to propose alternative sources of profit, just to question whether the 3G option is a worthwhile one to pursue. And let's not pretend that the club is completely doomed if it can't make up the £90K shortfall - according to the board at the meeting, being unable to make up that shortfall would mean that we would have to play in the Southern League, one division below. I don't exactly relish that idea, but taking a long view, to be debt-free with brand new commercial facilities in the Southern League is not the worst possible outcome, we could rebuild from there (in a way that I don't think we could if we still had £1m of debt hanging over us and no obvious route to repaying it). This is football, clubs do get relegated from time to time! If the idea of Southern League football in the next 5 years is total anathema, then yes I suppose you should vote for the artificial financial boost of 3G to replace the artificial boost of directors' loans. If this is a community owned club (where ownership brings responsibility) then surely any responsible owners, whilst having the right to question the 3G option, should also come up with an alternative strategy. I don't think accepting relegation is a strategy. The community Directors were tasked with coming up with a plan to make the club sustainable - as that was what the community shareholders said they wanted. They have come up with the 3G option, if community shareholders have another way of making the club financially stable then it needs to be presented as soon as possible. I have concerns about how the project will be financed and there needs to be greater clarification on this. A lot of the debate has surrounded the income derived purely from the 3G usage. To me this is only part of the picture. We need to increase the number of people using Twerton Park. Once you get more people passing through you have a chance of promoting other things to them - like coming to matches, using facilities for events they may be planning, getting them into the bars. I like it to a shopping centre - if you don't get a footfall coming through then you have no chance of getting them into the shop. There is a lot of potential income here that is not shown in the figures being presented at the moment. I welcome the debate but if this is a community club we all have a responsibility to come up with positive ideas to make this work. The more people coming up with ideas AND helping to implement them the easier things will become. I've made it clear I am very much in favour of the 3G option and even if it 'only' generated sufficient revenue to cover it's 5-year replacement then the advanatge of bringing people - especially kids - to Twerton Park who otherwise may not even have heard of the place, let alone come to it, is invaluable. Then give any under-16 who plays on the pitch a free (or very cheap) season ticket and you have huge new potential supporter base. It shouldn't need the 'threat' that we will have to drop down a level if we keep a grass pitch. Blimey I joked about the vote being similar to some other small vote this country had. You interpreted the response differently to what I did Oliver. My take was that dropping to a lower division does not make you financially viable. You still lose money and it is the same proportion of revenue it is just less revenue overall. So average gates go down meaning your playing budget goes down which means you are less able to compete which means you drop down to the next level and so on. It ends up being a social club with a football team. As Steve says that is not a plan. Fair point, it was suggested by the board at the meeting that dropping to a division below would create an unstoppable vicious cycle. I'm personally not convinced by that argument at all, but that was the view given on the night, and I didn't mean to misrepresent it. I suppose, however, if the footballing side of the business is always destined to lose money no matter what level we are at (as has been suggested above), then we will always be an "X with a football team". If "X" pumps in lots of money then we can find financial sustainability at Conf South or above. If "X" pumps in less money then we can find financial sustainability in the leagues below. But assuming we become debt-free, the decision is never "X or bust". Makes those you paid £250, £500, £1000, look a bit silly does it not? I paid that money to make the club a community-owned club. I don't feel silly. The Bid Prospectus and supporting Business Plan showed a large increase in revenue up from £490k in 2016/17 to £793k in 2019/20. That plan referred to the gain from redevelopment but excluded, specifically, any impact from installation of a 3G pitch. The basis of the plan was the financial benefit that would accrue from the community structure as it would lead to higher attendances, greater use of the facilities, a general increase of interest in the Club and the willingness of external “professional/business” individuals to provide support. A range of questions were asked at various bid meetings as a number of people, including myself, thought the financial projections were way too high but the general response was that the business plan was realistic. It does seem from reading some of the recent postings that we are now pinning our financial hopes on the previously excluded 3G option. So has the original business plan been discarded as too optimistic? A good point. I must admit I always felt the projections were optimistic and that we would need 3G to get anywhere near them, even though that was downplayed by the prospectus. In my mind i thought the ideal was a separate 5 a side pitch but fitting one in would be ambitious. In the event we hopefully will get a redevelopment and this is better. What strikes me is the amount of effort that has gone into building income has been huge and we are losing money still. Peter Newman wrote: The Bid Prospectus and supporting Business Plan showed a large increase in revenue up from £490k in 2016/17 to £793k in 2019/20. That plan referred to the gain from redevelopment but excluded, specifically, any impact from installation of a 3G pitch. The basis of the plan was the financial benefit that would accrue from the community structure as it would lead to higher attendances, greater use of the facilities, a general increase of interest in the Club and the willingness of external “professional/business” individuals to provide support. Peter, I posted a link yesterday to the strategy paper and encouraged those who hadn't done so to read page 14. I believe it answers your question. I posted at the time that I was disappointed at the poor turn out of members at the Society's meeting. I guess some may have listened online that evening but I've asked BCIR if it's possible for a recording to be made available. It would help if everyone could listen to what was covered and the answers given by Nick Blofeld to the various questions asked. Radio Bristol was running an article in their news bulletins today saying that the residents of Twerton don’t want more student accomodation, along with an interview from Nic Blofeld explaining that it is hoped that it would return houses currently occupied by students to family use. I also see that Bath R***y are considering a 3G pitch. Why oh why do we have to spin the “student accommodation will free up current student houses for family use”. Speak to any letting agency in the city and they’ll tell you the owners do not want to give up their hmo allowance.